Isolators | Exalto Emirates LLC. 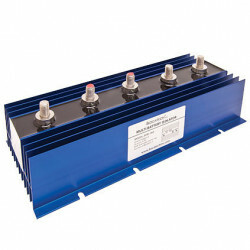 Mastervolt&rsquo;s BI battery isolators are based on conventional diode technology. The diode voltage drop (ca. 0.6 V) can be compensated for by&nbsp;adapting the output current of the connected charger. Mastervolt battery chargers and Alpha Pro alternator regulators come as standard withautomatic compensation for voltage drops. 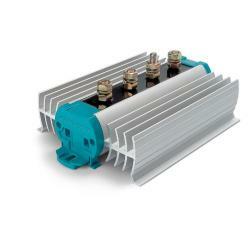 The Battery mate is compatible with any&nbsp;type of alternator/battery charger, in both&nbsp;existing and new systems. As the voltage&nbsp;loss between the alternator and battery is&nbsp;negligible, the Battery mate performs far&nbsp;better than conventional battery isolators.&nbsp;This ensures fast and complete charging&nbsp;of your batteries without having to make&nbsp;additional adjustments to the alternator. The Battery watch is an essential element of&nbsp;any well-equipped battery system, offering&nbsp;you a 600-gram electronic watchdog that&nbsp;ensures a much longer lifespan for your&nbsp;batteries. 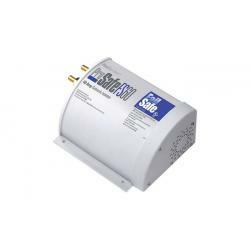 The unit monitors the optimum&nbsp;condition of your batteries and can also&nbsp;be used as a main battery isolation switch.&nbsp;LED lights provide a clear read out and the&nbsp;undervoltage can be set using DIP switches. An auxiliary onboard power supply is increasinglyb&nbsp;common. As a second battery can prevent the main&nbsp;battery from depleting and being unable to start&nbsp;this seems like a safe and reliable solution. Thesecond battery, however, also has to be chargedregularly. Mastervolt has the solution: The ChargeMate connects both batteries with a voltage relaywhile charging, and keeps them isolated at othertimes. The Charge Mate is especially practical forsmall systems. Current limited electronic charge relay with high&nbsp;efficiency and reverse current protection A secondary&nbsp;battery on board requires a dedicated charging solution.&nbsp;The Charge Mate Pro makes it possible to distribute the&nbsp;charger or alternator current effectively between two&nbsp;battery banks such as a starter and a service battery.&nbsp;The Charge Mate Pro connects both batteries during&nbsp;charging and keeps them isolated when discharging.&nbsp;This significantly reduces the risk of a flat starter&nbsp;battery for example. The Charge Mate Pro 40 provides additional&nbsp;functionality by limiting the charge current to&nbsp;the second battery to 40 A. The main battery is&nbsp;therefore charged with priority. 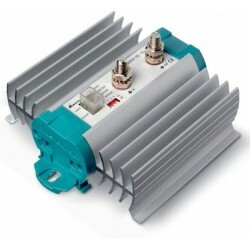 The return current is&nbsp;automatically blocked, which reduces power dips of&nbsp;the onboard network. 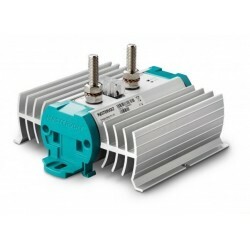 An emergency start function is&nbsp;possible by connecting an optional bypass switch. 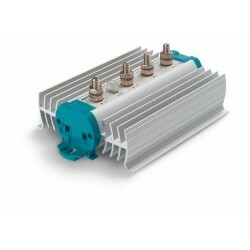 The Bocatech Automatic Power Selectors (APS) provides a simple, solid state solution for redundant DC power for vital electronic equipment&nbsp;while maintaining isolation of the DC power sources. The independent batteries are wired to higher torque-accepting terminals and internal diodes&nbsp;maintain total isolation between them. 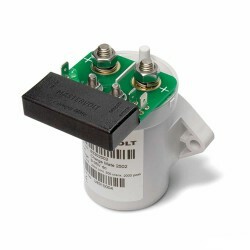 They are combined in a single output which is wired to the load. Current is automatically drawn from the&nbsp;battery with the higher voltage. Isolation prevents the higher-charged battery from &ldquo;dumping&rdquo; into the lower charged or failed battery. The unit&nbsp;is ruggedly constructed with heavy-duty wiring studs and epoxy potted components in an anodized aluminum case. Wiring nuts, washers and&nbsp;mounting screws are provided.